Quick & Easy Chinese Vegetarian Cooking! Quick and Easy Chinese Vegetarian Cooking is your complete Chinese cookbook guide that shows you how to cook delicious and healthy Chinese vegetarian recipes that will spice up your current diet, and can help to improve your diet and health. Is your meal plan plain and boring? Is your cooking not as healthy as you'd like it to be? Would you like to improve you and your family's health and diet through cooking and eating delicious, mouth-watering food? I bet! Quick and Easy Chinese Vegetarian Cooking shows you how to become naturally healthier by preparing easy, delicious, and health enhancing Chinese recipes in minutes. 16 fundamental cooking technique made easy for you to easily cook like a pro-chef! Features many mouthwatering Sichwan vegetarian recipes that's Guaranteed to spice up your diet and make it more enjoyable and interesting! Easy, healthy, low fat, and delicious. So simple, you can do it in minutes! Whether you're a vegetarian, non-vegetarian, health enthusiast, or food lover, Quick and Easy Chinese Vegetarian Cooking is exactly the resource you need. Oh My Goodness Jim... I just finished reading "EVERYTHING"!! How very creative, descriptive, and informative. I've seen many cookbooks, but none compare to the great lengths you have gone through. Thank you, so very much for sharing this with me. Thank you so much, and again... great going! Is Your Diet Causing You Health Problems? Humans were meant to be primarily vegetarian. Your skin, teeth, stomach and bowel structures are designed for a vegetarian diet. Your digestive system is NOT designed to efficiently process meat. You can't afford to ignore vegetarian diets anymore - and here's another fact: Vegetarian diets do not lack the nutrients and proteins as many proclaim, and you reduce your risk for colon cancer substituting meat protein with bean/lentils protein! Here's the good news... With Quick and Easy Chinese Vegetarian Cooking, you can cook easy, healthy, and mouth-watering vegetarian meals in just minutes. You won't suffer from boring, unhealthy, and tasteless meals anymore! shows you how, like no other cookbook. Eating a variety of vegetables are key to good health, but other foods such as soy, beans, and tofu not only add nutritional value, but also delightful flavors to your diet. Quick and Easy Chinese Vegetarian Cooking shows you the best ways to cook your food to maximize nutrition, taste, aroma, and appeal. Just think, starting today, you can cook mouth-watering, healthy, and low fat Chinese food that's even better than what you get in a restaurant. Guaranteed! And it won't take you longer than 30 minutes to prepare a delicious meal to satisfy your family and wow your friends. You'll never have to worry about cooking and eating boring, unhealthy food again! Wouldn't it be nice to spend less time cooking and still enjoy delightful, yet healthy cooking? Of course! You too, can save a lot of time cooking simple, tasty recipes from this comprehensive cookbook. Everyone and anyone can prepare healthy, low fat, and tasty vegetarian meals, and that includes you! This book is just what I was looking for! 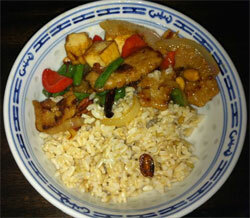 I'm not a vegetarian but using the quick stir fry recipes in your cookbook, I created some great meals. Thank you! My family and I really enjoyed the Chinese recipes in your cookbook. If you are a vegetarian, Quick and Easy Chinese Vegetarian Cooking will introduce you to healthy and delicious Chinese vegetarian cuisine. Don't you hate it when you're out of ideas of what to cook for dinner? Or when you just can't seem to satisfy everyone at the dinner table? Not any more with my Quick and Easy Chinese Vegetarian Cooking cook book. Just take a quick peak below to see a very small sample of the delicious, enticing, and easy to make dishes! I recently bought your cookbook, and the 3 other ebooks....brilliant! I love Chinese food, and I especially LOVE Szechuan dishes....and have loved them since I was a child...much to my Mother's displeasure...she hated spicy food! Here in Adelaide, it's pretty much impossible to find a Chinese Restaurant that has vegetarian Szechuan dishes on the menu. After searching for ages, I was having trouble finding good Szechuan recipes - not just vegetarian recipes, meat recipes can be easily adapted, but I was having trouble finding recipes that gave instructions for creating the authentic Szechuan ingredients/ techniques. So first of all - thank you for finally providing this! My first attempt from your book was Kung Po Chicken. I remember how delicious it was from the days when I would eat chicken....a very different flavour that's hard to describe, and hard to mimic if you don't know where to start! Your recipe was exactly how I remember Kung Po to taste. I'm so happy! Once again, thank you so much for writing your book. I am completely in love with the recipes, and so happy to be able to have proper instruction in the art of Szechuan! Come live in Australia....live next door to me! Haha! I've included a photo for you of my first attempt Kung Po (including an escapee peanut - I'm not a chef, I know nothing about presentation!). It looked & tasted so good, I took the photo & sent it to my best friend to make him jealous! So, as I have the picture handy, here it is! Thanks again - so much! Thank you for publishing this e-book, Jim. I am vegan, this is one of the rare receipes book that gives Asian easy to cook vegan receipes. I did not know how to cook the tofu sticks and tofu sheets which I had seen in chinese hyperstores, now I use them in many receipes [from you cookbook]. Anyone who enjoys vegan cooking should get this book, it could inspire non vegans to start cooking differently. The other booklets are as exceptional. Whether you're looking to spice up your diet, improve your health, or prepare mouthwatering foods for dinner, Quick and Easy Chinese Vegetarian Cooking Book Set has everything you need. 1. Salads & Cold Dishes - learn how you can quickly prepare authentic Chinese salads that are nutritious, healthy, and tasty. 2. Deep-frying - learn the secrets and techniques of deep-frying. Prepare simple and delicious deep-fry dishes that you could never imagine possible. 3. Soups - you can cook appetizing and refreshing soups in under 15 minutes. 4. Stir-frying - you too, can prepare savory, healthy, and mouthwatering stir-fry dishes that you only see in restaurants and cooking shows. You'll even learn to stir-fry better than real chefs, and impress your family and friends. Stir-fry recipes you can cook in less than 10 minutes! 5. 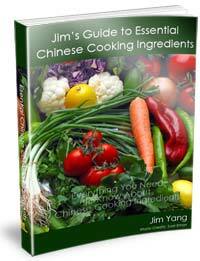 Braising & Stewing - learn how to braise and stew Chinese vegetarian dishes. Authentic Chinese Vegetarian recipes to make Vegetarian Sweet and Sour Ribs, and Honey Garlic Ribs - without using meat! 6. Steaming - Forget steaming broccoli or carrots - that's boring and tasteless. This section shows you how to cook great tasting dishes by steaming. 7. Cooking Tofu - This section shows you the simplest and best ways to prepare all types of tofu and tofu products. Supplement your diet with soy protein, and enjoy a healthier life style. 8. Home Cooking - make simple, tasty home cooked dishes that you won't find in restaurants. 9. Vegetarian Original Creations - Discover all the well-hidden methods and recipes to make your own vegetarian "meat" and vegetarian ingredients. 10. Snacks and Small Eats - This is nothing like chips or ice cream. Make your own snacks and small eats that everyone will enjoy. Thank you very much. I am extremely pleased with this purchase. It is so hard to find authentic Chinese cooking info. I am a vegan and I will get a lot of use out of your books. Thank you for putting out all the effort I know went into this. Just wanted to take a minute to tell you that I am enjoying your book "Quick Easy Chinese Vegetarian Cooking". It is well planned and executed. I especially like the pictures that will allow cooks that are unfamiliar with Chinese ingredients, and cooking techniques, and finished recipes. It also has many new and varied recipes. I Made the Cold Noodles today.... stuck to the recipe, and they are EXCELLENT! Not sure what I'll attempt next, the washed dough sounds interesting! Again thank you for making this book available and for the love and hard work that obviously went into the cookbook. 3 FREE Bonuses Worth AT LEAST $125.00! As an additional bonus for ordering TODAY, you'll also get three FREE bonus books which were previously not available. These bonus cookbooks will take all the guesswork and confusion out of cooking delicious, appetizing meals every day. They are yours absolutely FREE if you order today. 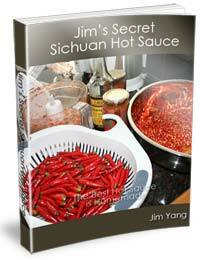 I guarantee that you will NEVER buy another hot sauce from any store after making my Sichuan hot sauce! This is a famous home cooking hot sauce used every single day by Sichuan people, and while spicy Szechuan food is world famous, the method and secretive recipe of making this hot sauce is finally being shared! You'll be able to cook delicious, mouth-watering dishes with my hot sauce. But don't tell others what you use, they'll beg you for the secret ingredient you use! Would you like to cook like a pro chef? You too, CAN learn to cook like a pro chef, starting TODAY! This book will show you 16 fundamental cooking techniques to quickly improve your culinary skills. After reading this book, you will have all the confidence and skills to cook healthy and delicious meals! Never again search for ingredients that you are unsure of - you will have it right in front of you with my essential guide to Chinese cooking ingredients. How Much Does This Complete Cookbook Set Cost? I have some great news for you! Because my cookbooks are e-books, there are no printing and shipping costs, you save a bundle! Even better yet, you get the e-cookbook set INSTANTLY - there's no waiting! Your investment in this life-enhancing e-book is now only $27! 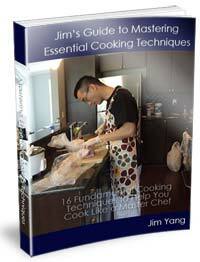 You get EVERYTHING including the 275 page Quick and Easy Chinese Vegetarian Cooking cookbook - PLUS the three bonuses (Secret Hot Sauce Recipe, Mastering Cooking Techniques, and Essential Chinese Cooking Ingredients Guide). You now have the one and only tool you need to prepare quick, healthy, and delicious Chinese vegetarian dishes. Once you have completed your order on Clickbank's secure server, you will be directed to the download page, and you can download the entire cookbook package in PDF format, and start cooking healthy, delicious, and easy to make Chinese Vegetarian dishes IMMEDIATELY. 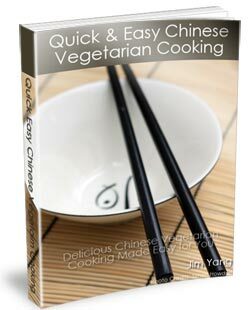 Quick and Easy Chinese Vegetarian Cookbook - Instant Access! I love chinese food---especially if it's spicy. This cookbook gave me everything I need. The great variety of recipes provided me with many options. And I really enjoyed your secret hot sauce recipe! A must-have for anyone that likes spicy food!! these dishes. I'm very new to cooking. I stopped eating meat primarily because it's too much trouble to cook, but I'm really enjoying this vegetarian lifestyle. It feels great to eat healthier, and your book will definitely help me keep it up! I'm really glad I found your cookbook, and I'm looking forward to experimenting! Thanks again! 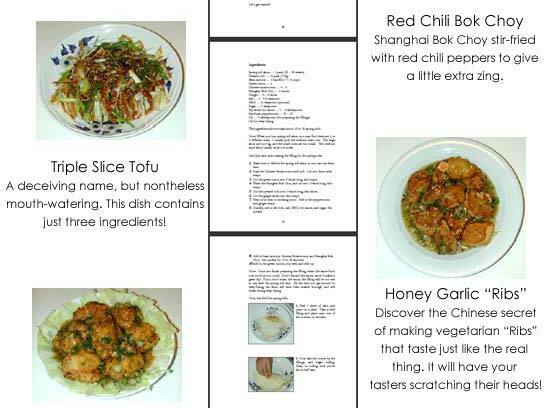 If you LOVE to eat great tasting Chinese Food, then I guarantee that you will LOVE the recipes in my Quick & Easy Chinese Vegetarian Cookbook. The money you invest in this amazing cookbook set is just a tiny fraction of the money you spend eating out, and even better, with my cookbook, you will improve your diet, eat healthier, and cook delicious Chinese Vegetarian dishes - can you say all those things in a sentence about dinning out? 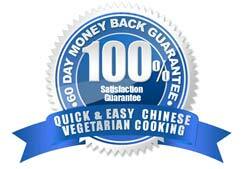 I personally GUARANTEE your 100% Satisfaction - Read my cookbooks cover to cover, and enjoy the Chinese Vegetarian recipes, and if you're not satisfied in any way, simply ask for a full refund within 60 days- NO QUESTIONS ASKED! Where will you find a cookbook that let's you try it absolutely RISK-FREE for a full 2 months?! Only here, with my Quick & Easy chinese Vegetarian Cookbook. On the other hand, if you find my cookbook to be an exceptional source of healthy, delicious Chinese Recipes, then I want you to e-mail me your comments and testimonials. I feel great when I hear how much others love my recipes! ps. My e-cookbook set has been published since 2002, and that's a long time! 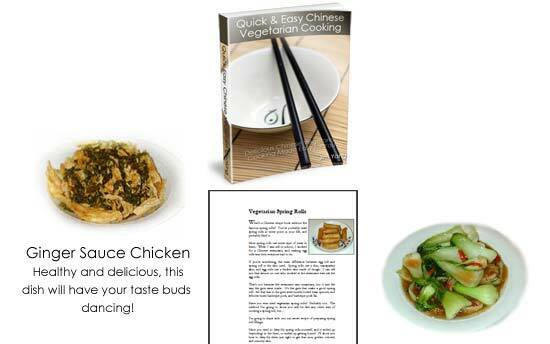 All of our customers who purchased Quick & Easy Chinese Vegetarian Cooking have enjoy the wonderful, healthy, and delicious recipes. If you love to eat, and if your health is important to you, then you need to try my cookbook and recipes. 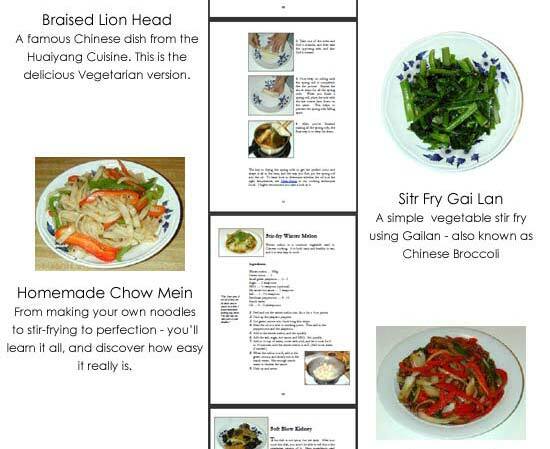 Please Note: Quick & Easy Chinese Vegetarian Cooking is a downloadable e-book. No physical books will be shipped. The bonus e-books also are not physical products. Once you have completed your order, you will get INSTANT ACESS to download the e-cookbook and the bonus ebooks. 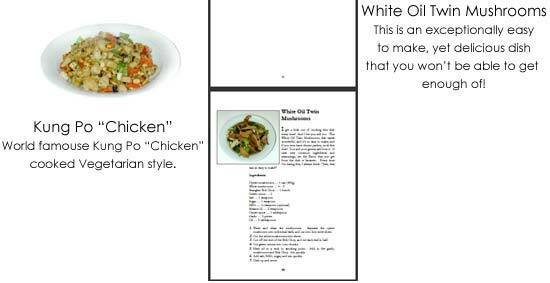 The e-cookbooks are in Acrobat PDF format, and can be viewed on both PC and MAC computers.